For a long time, psychologists focused on the important bond between mothers and their children. But recent studies suggest that a child’s bond with his or her father is equally as fundamental to a child’s well-being. Just being there will help a child’s development, but some dads go above and beyond — like these gentlemen — from whom we can all learn something. This dad designs amazing Disney costumes for his kids to wear. Nephi Garcia was a couture fashion designer before turning his focus to making costumes. He started posting pictures of the insanely accurate Disney costumes he created for his wife and three kids on Facebook and Instagram. He says cosplay brings his entire family together. Check out out video about Designer Daddy. This dad invented a workout tool so he could spend less time at the gym and more time with his kids. Brent Kruithof was tired of always going to the gym to workout, so he invented the Flyup, a home fitness grip that would allow him to still get a good workout while also spending more time with his family, including his two kids, Gio and Decker. A clip he posted of his new family workout went viral. Check out our video about Kruithof here. This dad started 'breastfeeding' his baby girl when his wife returned to work. 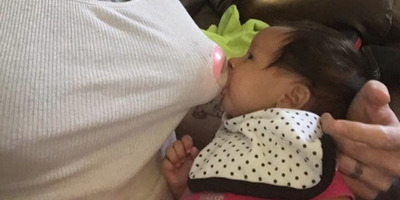 When Chris Allen's wife went back to work shortly after giving birth, he cut a whole in his tank top and inserted his new daughter's bottle to create the illusion of breastfeeding. Check out our video about Allen's innovative way of 'breastfeeding' his baby here. This dad turned an IKEA bed into a hidden playhouse. 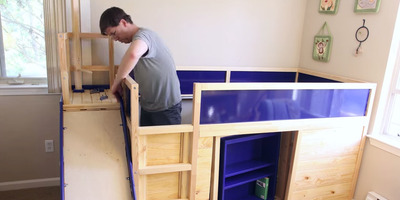 Eric Strong transformed a simple IKEA bed into the coolest fortress for his son. The bed comes complete with awesome lights, an internal pulley contraption and when you pull down on one of the books on the bookshelf, it opens a secret door. Watch our video on Strong's IKEA skills here. 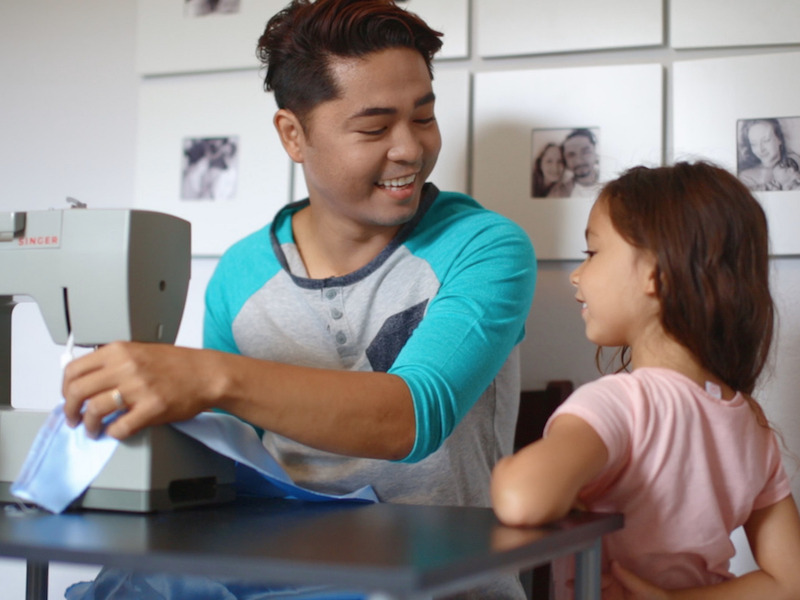 This dad went to the store to buy his daughter pads -- and the struggle was real. 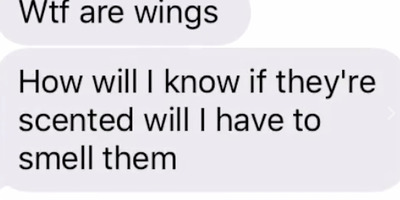 A woman in the UK asked her dad to buy her sanitary towels from the store, and he had a pretty tough time finding the right ones. As he walked up and down the aisles he texted his daughter, who gave him detailed instructions on which pads she needed. She posted the hilarious conversation on Facebook. 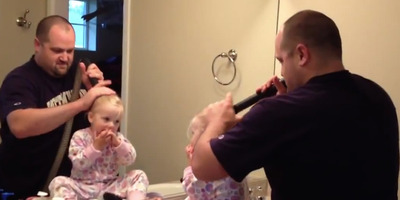 This dad found a brilliant new way to do his daughter's hair. Doug Marcoux got really creative when tasked with getting his daughter ready for the day. He used a vacuum cleaner to create the perfect ponytail, without a stray hair in sight. This dad built a grass toboggan for his kids. Jacob Strickling is an Australian science teacher with a successful YouTube channel called Make Science Fun. He wanted to find a way to make mowing the lawn more exciting for his kids. 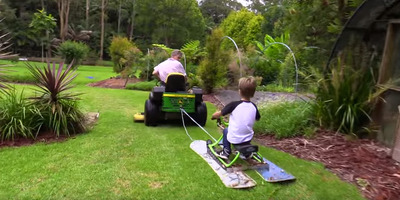 So he grabbed two old snowboards and created what he calls the 'grass toboggan' and connected it to the back of his lawn mower. 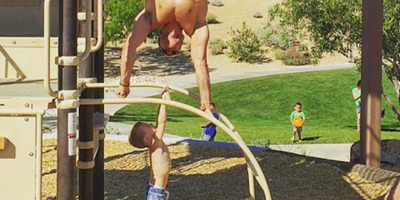 This single dad does insane acrobatic tricks with his son. Wayne Skovington is a Cirque du Soleil performer who is getting his son in on the family business. Skovington's Instagram is full of the two doing awesome acrobatic tricks. BONUS! This whole group of dads boogie with their babies. 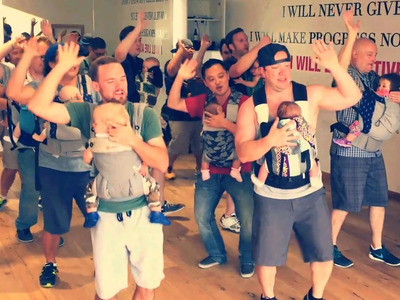 These dads are bonding with their little ones through dance. They participated in the 'babywearing' dance class at GroovaRoo in San Diego.